Say hello to my new best friend, The NutraMilk! That’s right, this is the appliance that everyone will be talking about. 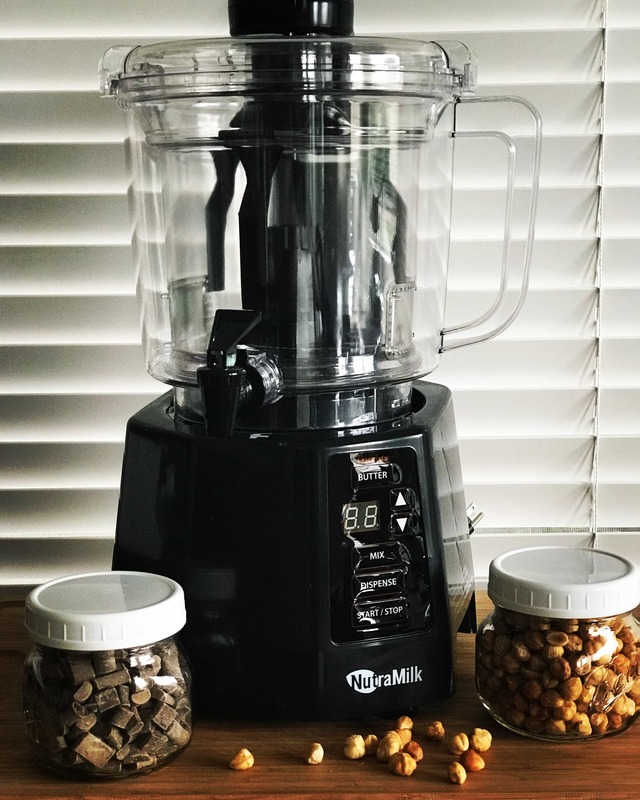 From creamy almond milk to delicious homemade nut butters, the NutraMilk will create delicious plant-based alternatives right on your counter top in less than fifteen minutes. I am SO excited to share this with you! The holidays are almost here and The NutraMilk would not only make the perfect gift, but can whip up some pretty amazing holiday recipes at your next family get-together! 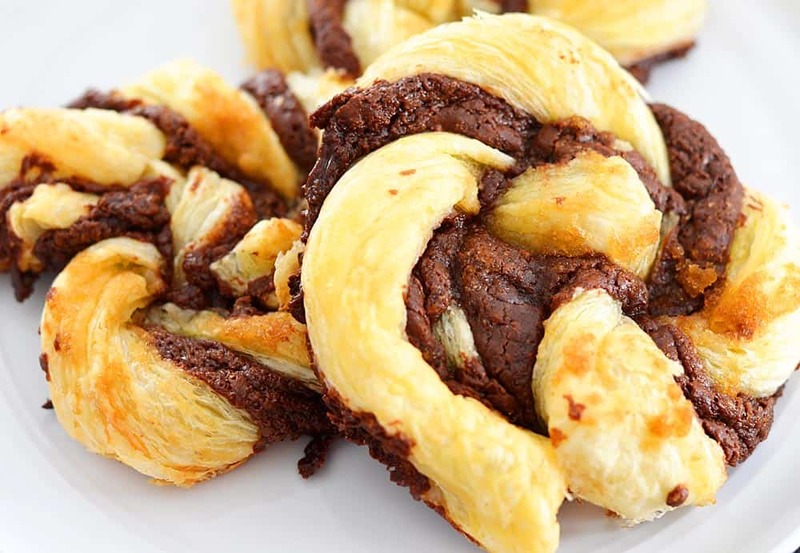 Today, I’m making a homemade chocolate hazelnut butter, better known as … Nutella, which we’ll be using to create these puff pastry twists! The NutraMilk is incredibly easy to use for anyone wanting to create their own fresh, additive and preservative free alternative milks and butters in their own kitchen. The NutraMilk is not just for nut butters and milks, you can create dips, spreads, puree soups and even add all of your ingredients to make a delicious morning smoothie! There is no other product like The NutraMilk on the market! It’s versatility makes it a one-of-a-kind appliance that every kitchen needs. The quality of the appliance really impressed me. It’s really sturdy, quiet and well-made. Making the nut butter is simple. 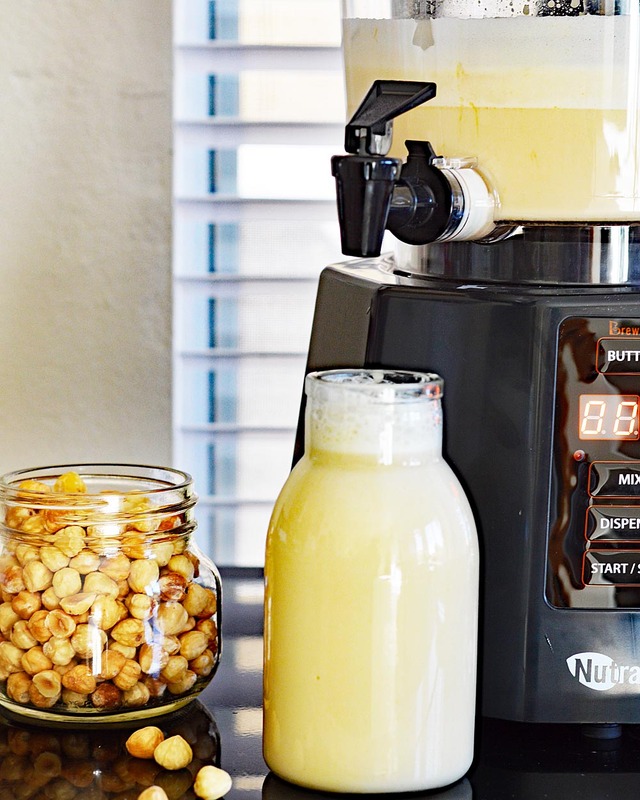 Add the ingredients to The NutraMilk, set the timer & press the “butter” button. The guide will tell you how long each nut takes to process and The NutraMilk does the rest! You can process virtually any kind of nut, seed, grain or legume. While The NutraMilk is processing the nuts, I melted vegan chocolate chips over a double boiler. The nut butter and vegan coconut sweetened condensed milk are combined with the melted chocolate. And here you have the MOST delicious homemade Nutella! I couldn’t resist sneaking a few bites before assembling my pastry. Yum! To assemble our 4 Ingredient Nutella Puff Pastry Twists, I set up a workstation. You’ll need two sheets of parchment (or silicone baking mats if you have them), two sheets of frozen puff pastry that you have thawed, melted vegan margarine and brown sugar. Simply spread 1/3 of your hazelnut spread over each half of the puff pastry (this is only necessary if you want to add chopped nuts to one half. Otherwise, just spread over one half and flip the other pastry sheet on top. Lightly roll with a rolling pin to press together. Do not over fill or you will lose some of the chocolate hazelnut spread during baking. Using a sharp knife, cut into 1/2″ strips and twist as if you are making cheese straws. Then, take the twists and roll them into a spiral, tucking the ends under. Brush with melted vegan margarine and sprinkle with brown sugar. Bake at 400 degrees for 20-25 minutes or until golden. 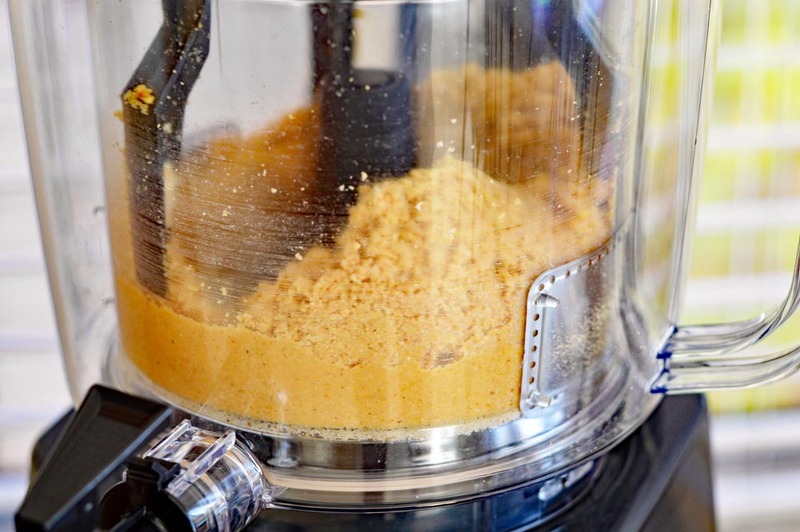 Making your own nut butters is just THIS easy! Pre-order now through 12/8 and use NUTRAMILK50 for $50 off MSRP and receive a free bonus storage container! Units will ship at the end of November (while supplies last). 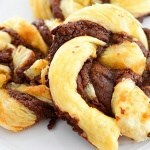 Did you make this recipe for 4 Ingredient Nutella Puff Pastry Twists? If so, leave me a comment below and let me know what you thought. Defrost 2 sheets of frozen puff pastry on a lined cookie sheet. The first step is to prepare the homemade Nutella (Hazelnut Butter). Process hazelnuts (that have been roasted and skins rubbed to remove) until a butter forms. While this is happening, melt the chocolate over a double boiler or slowly in a microwave. Combine the hazelnut butter, melted chocolate and vegan coconut sweetened condensed milk. To adjust sweetness, add more or less of the sweetened condensed milk. 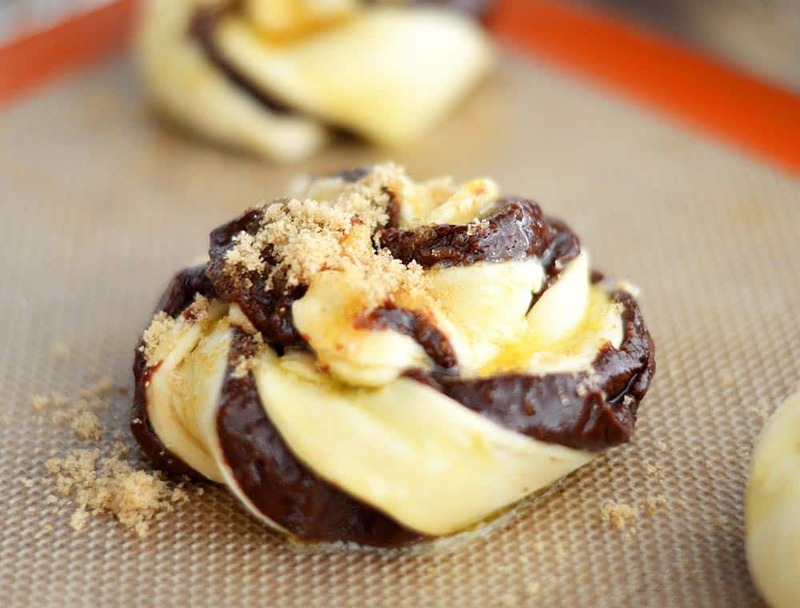 Roll the puff pastry lightly to flatten and spread 1/3 of the nutella on one sheet, 1/3 on the other. 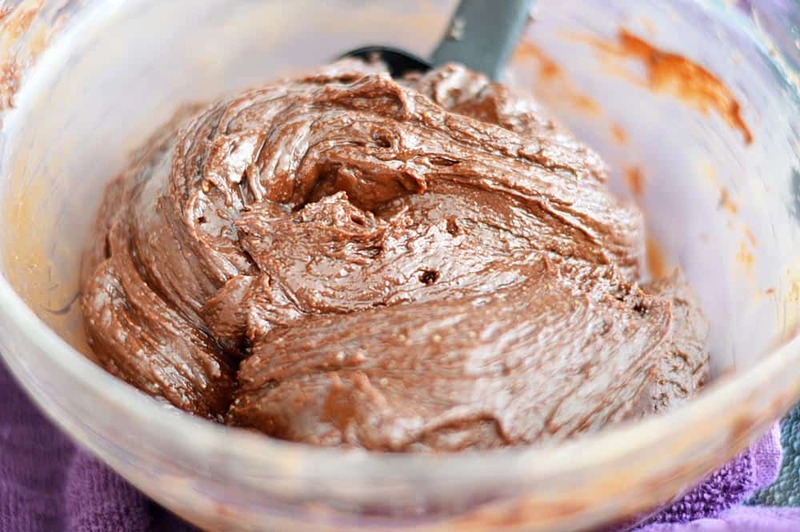 You will have 1/3 of the Nutella recipe remaining from this recipe to use for another time. Do not overfill the pastry. OPTIONAL: If you'd like, you can add some additional chopped nuts on 1/2 of the Nutella lined pastry. Take the other puff pastry and flip on top of the other so that the Nutella sides are FACING one another. NOTE: IF YOU ARE NOT USING CHOPPED NUTS IN BETWEEN YOUR LAYERS, YOU WILL ONLY NEED TO SPREAD THE NUTELLA ON 1/2 OF THE PUFF PASTRY. Using a rolling pin, lightly roll the two layers together. Using a sharp knife, slice into 1/2" strips and twist as if you are making cheese straws. Simply roll the rolled straws into a spiral, tucking the end underneath and pressing slightly. Brush with melted vegan margarine and sprinkle with a bit of brown sugar if desired. Bake at 400 degrees for 20-25 minutes or until golden. If any of the Nutella oozes out during baking (which is likely), you can just clean it up away from the pastry afterwards.